Online retail giant Amazon.com says the 2007 holiday season was its strongest since the firm began trading in 1994. On its busiest day, 10 December, customers ordered more than 5.4 million items - 62.5 books, DVDs and other products per second. By comparison, on last year's busiest day, 11 December, customers ordered four million items. Top sellers included Nintendo's Wii video game system, satellite navigation devices and high-definition TVs. The news of bumper sales sent the company's shares up more than 2% in US trading on Wednesday. "I think a later peak order day illustrates the increased confidence that consumers have in Amazon," said Amazon's UK managing director Brian McBride said. "Customers are now happy to order much closer to Christmas as they trust the fact that we will deliver on time." 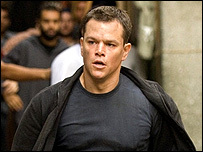 Hollywood blockbuster The Bourne Ultimatum was Amazon's best-selling UK DVD, followed by The Simpsons Movie and Shrek The Third.